Click on an image to scroll to that item. Jeans tight, so right, and winkin’ at me! What about you makes me burn with desire? Old Tate left Sumatra along about dark. He had his two big dogs and a puppy named Spark. Then Tate knew that he was a long way from home. "Oh, Lordy," Tate hollered, "I'm lost up the crick." This was the beginning of poor old Tate's Hell! then sickness came on him, his body turned green. "My name is Old Tate, boys! I've just been in Hell!" His spirit, it left him. Old Tate, he was dead. 8. Does it Hurt to Laugh? We can’t pay for the things you want to buy. Wear your old faded jeans. They are patched but they are clean. And hold your head up high. The closest store was 35 miles away. Hear the words my mother used to say …..
He’s even got his own telephone. 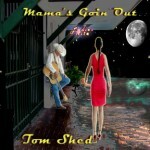 ‘Cause I know he’ll never hear his mother say …..
“Mama’s Goin’ Out” is an album with many musical styles. 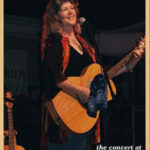 It is a collection of songs with an artistic view and poignant message. Each song contains a point and perspective, crafted to introduce the listener to ideas, history and inspiration. Music with purpose, or if you like, songs about something. Samples are MP3. “Mama’s Goin’ Out” – An homage to working single mothers. 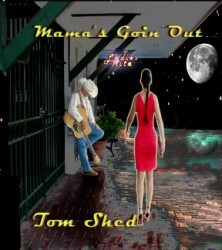 “Mama’s Goin’ Out” declares life has changed, but it’s not over. “It Don’t Mean You’re Country”- Somewhere in a pop star or actors life there comes a moment they decide they will “up and go country”. Sometimes it’s an idea better left alone. “Congratulations Standing Bear” – In 1838 a Native American is brought to Federal Court and ruled a “human being”. One savage changed into a human being just in time to suffer the consequences. 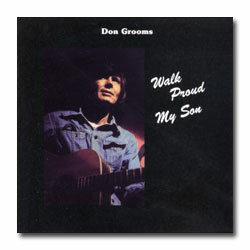 A Don Grooms song. “Forgotten Memories” – Taking a look at our past and future, “Where’s the water coming from?” never meant so much. Jerry Lawrence Bullard and Tom Shed write this plea for sanity with our natural resources. “Florida State of Mine” – A celebration of life in the “Sunshine State” as seen thru the natural wonders of our state parks. 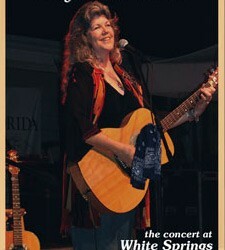 “Rivers Roll On” – Amy Carol Webb’s observation of Florida’s rivers and life’s’ flow. 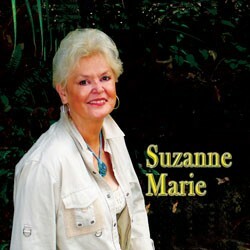 “Plumes” – Steve Blackwell’s song about the first Game Warden murdered while defending a species of birds. “Maybe” – Decision by indecision. Life continues to move, disengaging from charting your own course leaves you in a world not of your own. “Richard’s Blues” – A close friend of Tom’s planned his life out, then died while working towards early retirement. Each day may be your last. “Scream and Shout, the relationship song” – Most relationships don’t work out. When you guard your personality and ego like they have great value, you lose the only thing that does have value. “Tomorrow” – Don Grooms view of life at hand. Giving up on today, hoping for better days to come. … it don't mean you’re country at all. All gun and no game..
Don’t let my bones be buried ‘neath this Oklahoma sun. Let my body lie forever in the breast of Mother Earth. And you’ve got to set them free. And you cannot bury you’re garbage on this sacred Indian land. No, you’ll never be a free man in the land, where you were born. Build another strip mall, where’s the water coming from? What happened to this place, I used to know as home? Let’s build another golf course, where’s the water coming from? Let’s build a thousand houses, where’s the water coming from? What happened to this place I used to know as home? Yes, what happened to this place I used to know as . . .
Its all within your reach, woo! Floating down a river in a warm southern breeze, woo! Critters saying Hi! Livin’ in the Everglades, woo! ‘Cause when you live in Florida, you really got it made, woo! Bats eat Mosquitoes, that’s why they’re my friends, woo! ‘Cause when you live in Florida, its all within your reach, woo! Fun to get with nature, in this Florida state of mine……….. woo! They'll just sit right there can you imagine that? Can you stay a little longer? Can you be a little stronger? 2. Does It Hurt To Laugh? What are the chances, of a perfect romance? Critters saying Hi! living in the Everglades, woo! Fun to get with nature, it’s a Florida state of mine. Fun to get with nature, it’s a Florida state of mine……….. woo! 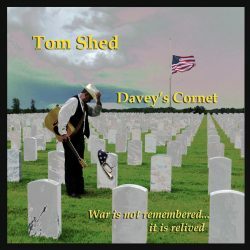 Thanks to the musicians who helped with this recording: Don Porterfield, Wayne Martin, Dan Peterson, Dawn DeWitt and Marty Nemenyi. What about you makes me burn with desire?? He said "Bring all those Indians to me"
Seems I need my song. Pick you up and start again. Seems I need my friend. Tom tours across North America, Europe and the UK. 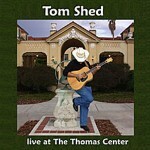 Want to know when Tom is coming to your area? Subscribe to Tom Shed’s mailing list. Get updates on concerts, festivals and videos, and pre-order discounts for album releases. 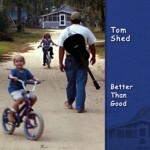 *Bonus for signing up now: One free download of Tom's new single, Better Than Good!